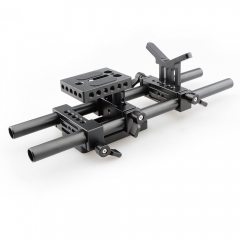 With both 1/4" & 3/8" screws available to attach your camera to and also a 15mm rod setup to attach a follow focus, EVF or some other accessories. 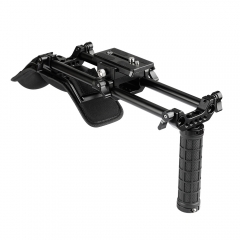 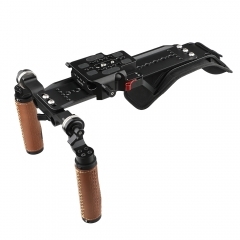 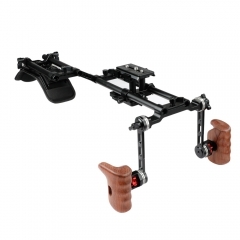 To attach the baseplate to and enables the camera to slide on and off the plate rail. 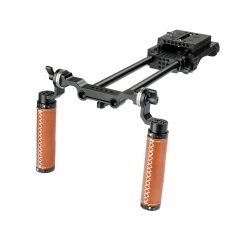 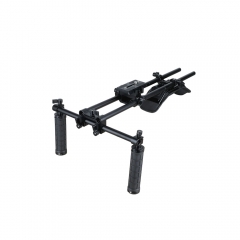 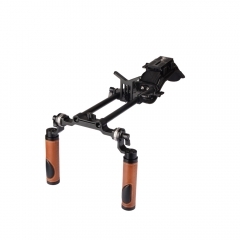 It also provides 1/4" & 3/8" mounting points to attach this rig to a tripod. 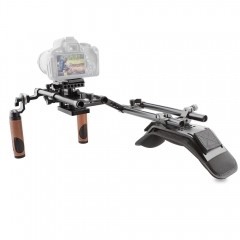 With adjustable Rosette handle grips as well as a 15mm rod setup allow you to fully customize how you’d like the shoulder kit to be set up. 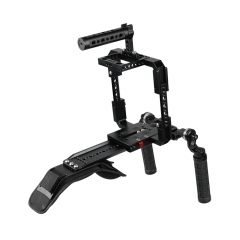 This simple, ergonomic shoulder pad kit is designed for better shooting experience and can be universally used with most large-size DSLR cameras as follows: Canon C100 / 200 / 300 / Sony fs5 / fs7 / Panasonic AU-EVA1, etc. 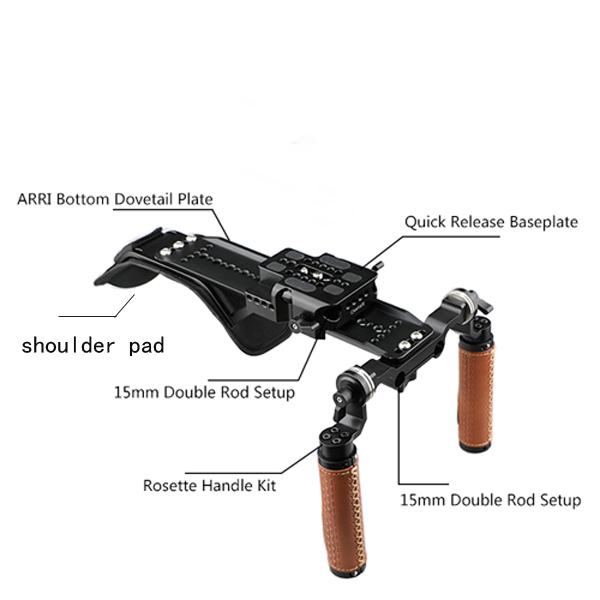 CAMVATE Shoulder Mount Kit With 15mm Rod Syst..
CAMVATE Pro Camcorder Shoulder Mount HDSLR Ca..
CAMVATE Pro Camcorder Shoulder Rig With Manfr..
CAMVATE Handheld Dual ARRI Rosette Grip (Leat..
CAMVATE Dual Rubber Grip Handheld Shoulder Mo..
CAMVATE Pro Shoulder Rig Full Frame Cage Kit ..
CAMVATE Shoulder Rig Handle Kit For C100 200 ..
CAMVATE Pro DSLR Shoulder Mount Support Rig K..
CAMVATE DSLR Shoulder Mount Rig Dual Handgrip..